Koia nei tōku mihi aroha ki a Naida Glavish wahine toa. E te māreikura, e taea mā te kupu tuhi koe e mihi, kāhore. Tēnā koa, kia tūtuki te mata, te matakite o Aperahama Taonui, tera pea ka ea to mātou nama ki a koe. Heoi anō, mā te wā anō ngā hua o to werawera e whakaatu wo mahi mo to iwi Māori. He taniwha kei te haere mai, ona niho he hiriwa he kōura ko tona kai he whenua. Kaua e mataku i te hiriwa me te kōura, engari kaua e tukua ite hiriwa me te kōura hei atuatanga mou. There is a Taniwha on its way with teeth of silver and gold. Do not fear the teeth of silver and gold just do not allow it to become your GOD. Naida exploded into the public notice when she insisted on greeting people with the words “Kia Ora” within her employment at the telephone exchange. Despite the public furore, Naida refused to apologise for her reo and her use of the indigenous language of this land. Defence of her reo was the first example of her tenacity in her defence of te Reo me ōna tikanga. If ever you need someone to “have your back”, call Naida. Should you need a friend, support or the warrior woman, Naida will front up to lead the charge. However, Naida like her ancestors has that innate wisdom and the ability to bring a peaceful resolution and spiritual guidance to those concerned. She is the friend who gives confidence at your bedside when confusion over cultural matters prevails. She is the guiding hand when people reach the depths of despair from health service providers that may involve death or long-term disability. Naida dares to seek the solutions that empower whānau to make informed decisions about their health care. She will negotiate between Pākehā misunderstanding and misuse of power but also for Māori confusion or fatalistic approach to Oranga. Naida is the powerful, honest leader who portrays “Te Tū o te Ariki”. 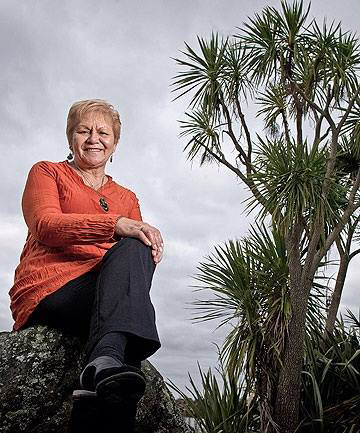 Naida’s stance and commitment to te Reo me ōna tikanga have been the shining light of leadership in education, as a teacher, and then in Health. She does this with great aroha for her people and does acknowledge her humble beginnings and her whakapapa. Naida has inspired many at home, nationally and globally particularly in her contribution to mana restoration, Rangatiratanga affirmation and reconciliation of indigenous peoples to their culture. Naida would describe her greatest achievements as that of being a mother to her five children, her many mokopuna of whom she is extremely proud and her mokopuna tuarua who she shows off about. She attributes her gifts and knowledge to her whakapapa but in particular to her two nannies. One of whom was Ngāti Whātua/Ngāti Hine/Ngāpuhi and the other who was Tararā from Croatia. Her inspiration is for the aspiration of oranga tonu both physically and spiritually.